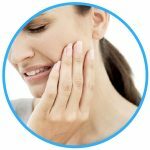 If you find yourself trying to deal with tooth pain, you may be unsure of what to do short of taking some pain relievers and placing a cold compress on your cheek. Before you simply deal with the pain, take a moment to look through the list of 24-hour dentists we have provided for you below. Many of these offices will see you without an appointment so you can receive immediate attention. You can also contact our 100% free referral service, with one phone call our staff can find a dentist near you that can take care of your emergency right away. Thankful I found Emergency Dentists USA when I was in so much dental pain I didn’t know what to do. I was able to call them and find a dentist who could help me that very day. I don’t know what I would’ve done otherwise. This is such a great website, full of helpful information and their hotline staff is amazing. Most dental offices in Oakland, CA are open standard business hours, which generally means Monday through Friday from 9:00 am until 5:00 pm. Fortunately, there are many after-hours dental options in Oakland, CA so that you can see a dentist when it is convenient for you. Many of the after hour clinics are open until 7:00 pm throughout the week and are open on Saturday as well. These offices know that emergencies come up and they are prepared to provide the emergency care needed. Most dental offices that operate after hours are not walk-ins, which means you do need to have an appointment, but you can often get same day appointments when you call into their offices. Below, you will find a list of emergency dentists in Oakland. These dentists work hard to provide you with the care you need, when you need it. All you need to do is pick the dentist nearest to you and then call them for an appointment to receive the care you need. Description If a dental emergency comes up whether a resident of Oakland or in town visiting, don’t hesitate to get in touch with us quickly to get an after-hours or walk in dentist referral. Description: This Saturday dentist in Oakland, CA has everything you need when facing a dental emergency. Their extensive hours 6 days a week from 9am until 6pm make for a very easy choice when you’re looking for an emergency dentist. Description: This Oakland area after hours and emergency care clinic is open 6 days a week and can provide assistance with root canal needs, urgent toothaches, wisdom teeth coming in, broken teeth, or broken crowns. This is a bilingual office for those that need English or Spanish, and the staff here has been giving top-notch care to bay area residents for years. Description: Laurel Smile Dentistry specializes in advanced procedures and services. The staff here listens to understand your concerns and responds with the best treatment plan for you. The professional staff always follows up with each person to make sure that general pain is relieved, problems are resolved and thier health improves. Description: This is an emergency clinic that is open 365 days a year, and they always offer free x-rays during business hours. You can schedule a much-needed appointment by email if you’d prefer. Extractions, infection of teeth, severe tooth pain, and the need for a root canal can all be seen here urgently, and the clinic will accept all PPO dental insurance plans. This is truly the late-night, weekend, and after hours dentist clinic in Oakland. Description: A welcoming team of professionals that provide high-quality orthodontic care to adults and kids in a fun, friendly and caring environment. They pride themselves in paying careful attention to their clients’ individual needs. For your comfort and convenience, their office is open some weekday evenings and also on some Saturdays. Description: The Endo Care dental group offers weekday hours that are fairly limited to normal working hours. However you might be able to squeeze in an emergency dentist appointment at 8am and still make it to work on time during the week. They also offer Saturday dentist hours, simply call ahead. When you visit an emergency dentist, you can expect the visit to be similar to a visit to your general dentist. You should let the receptionist know if you have dental insurance so they can quote you properly. You should also inquire about what payment methods are accepted. Some dentists collect payment upfront while others collect it after the service is rendered. When you arrive at the office, you will be handed paperwork that needs to be filled out. 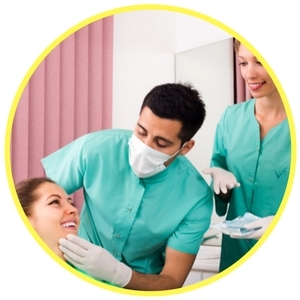 You will answer questions about your dental and medical history. You should let the dentist know if you have any allergies or if you suffer from dental anxiety. Some emergency dentists offer sedation to their patients. If this is something you would like to consider, you will need to let them know beforehand. Dental emergencies need to be looked at and treated in a timely manner to prevent any type of trauma from occurring. Since dental pain can range from mild to severe, you need to keep an eye on your condition and seek out care sooner rather than later. Emergency dentists are available to provide you with the dental care you need and they can treat all types of emergencies from tooth decay to a broken jaw. If you are experiencing any of the dental emergencies listed below, it’s best to see an emergency dentist in the Oakland area as soon as possible. 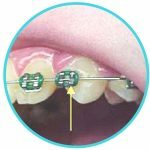 If a wire breaks inside of your mouth and sticks out into your gums or cheeks, it may cause you pain. You should attempt to use an eraser to push the wire away from the area that it’s irritating. If this does not work, you should place a piece of dental wax over top of the wire edge to prevent any further cuts or pain. You do not want to cut the piece, as this can lead to accidental inhaling of the wire piece. A lost filling can occur for a number of different reasons, but the most common is when you eat a sticky food or candy and the filling is pulled out. If this does happen, you should take a piece of sugar-free gum and place it into the hole. You want to avoid regular gum, as it contains sugar that will irritate the tooth. You can also use a dental cement if you prefer. Emergency toothaches can be caused by a number of different things. If you are experiencing a toothache, the first thing you want to do is rinse your mouth out with warm water. From there, try to floss your teeth to dislodge any objects that may be caught in between them. If the area is swollen or very painful, you can place a cold compress on the exterior of the cheek and take an over-the-counter painkiller. If you continue to experience pain, you should schedule an appointment with your local urgent care dental office right away. There are some situations where you may need to have a tooth extracted from your mouth quickly. Typically, dentists will try their best to save the tooth, but it is not always possible. In the cases where the tooth’s integrity is tested, an extraction will be recommended. If your tooth hurts and you do not have the extraction performed once it is recommended, you may cause more damage to your tooth or you may cause problems with the surrounding teeth. It is vital that you seek out the emergency dental care you need when you need it. A delay in care can lead to serious complications. The number of patients who head to the emergency room for dental pain continues to rise. The ER is unable to treat dental issues the way that you may need them to be treated. 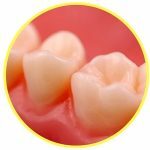 An emergency dentist in Oakland is the better choice for you and they will be able to provide you with the care that you need when you need it. Emergency dentists are trained to handle all urgent dental matters and they can perform the procedures you need when you need them. There are times when it does make sense to visit the ER, even with a dental problem. Some of these times include when you have experienced a head injury, when you have sustained trauma, when you have fallen, or when you have been in a vehicle or sports accident. If you do think that you are experiencing a dental emergency, but you cannot get ahold of an emergency dentist or you cannot locate one open 24 hours near you, please give Emergency Dentists USA a call. We can find a local office near you that is open and able to get you in and out of pain quickly. We are a free referral service that is open 24/7 to help in any emergency situation! 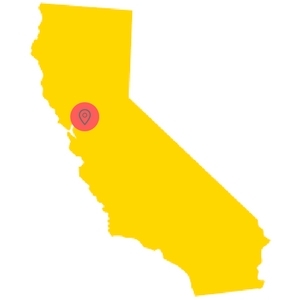 We do recommend that you always check the local dental society chapter in Oakland to verify the certifications and credentials of any dentist you plan to visit. You should check the California Department of Consumer Affairs and Dental Board of California before visiting any dentist.